Capacity involves the efforts to build strategies for organizing along with raising the status marginalized and disenfranchised communities. Our Capacity video features the Youth Resiliency Institute who provide cultural arts programming and training to youth and their families in Baltimore City. Navasha Daya and Fanon Hill describe the organizations’ methods of using multiple forms of art from dance to poetry to provide an outlet for agency building. Using the creative skills developed through YRI, youth have become become engaged politically, culturally, and locally engaged. To view the rest of the Continuum of Impact videos please visit the Baltimore Art + Justice Project YouTube channel. Coming up next week……. Action Part 2! Changing the way people feel about an issue is a difficult task to undertake but art can be a helpful medium to do so. Using art, organizers and activists can generate feelings of hope, pride, and respect in both those who engage in the creation of art and those who view or experience it. Our Attitudes video highlights the work of DewMore Baltimore and 901 Arts who use art to change people’s thought’s and attitudes towards specific issues. Devlon Waddell from DewMore Baltimore describes how they use literary arts to encourage individuals to explore their understanding of themselves to then develop a stronger connection with their community. Stay tuned next week for……. Capacity! The anticipation can finally end as the Baltimore Art + Justice Project’s Continuum of Impact video series is complete and online! The series highlights the phenomenal work being done by Baltimore organizations and groups that are using art as a tool for social change. Based on the Continuum of Impact created by Animating Democracy, the videos each highlight specific ways that social justice and art collaboration create an impact. Action, the first video in the series focuses on increasing participation. Art can be a powerful tool to get people involved and mobilized in their communities. Our Action video highlights the work of 901 Arts. 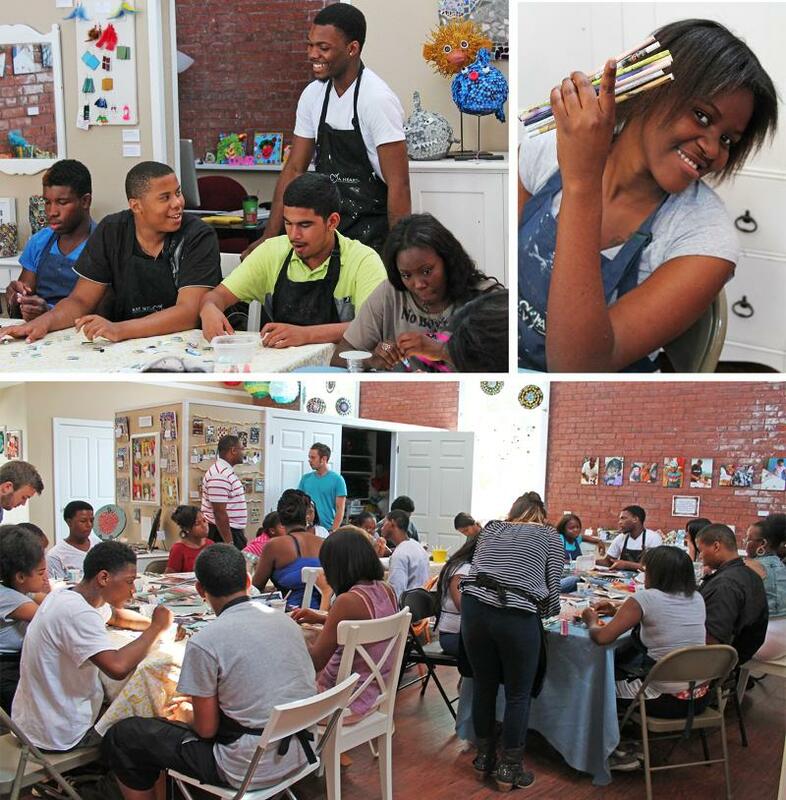 901 Arts is a community based youth arts organization in the Better Waverly neighborhood of Baltimore that provides opportunities for the children and youth in the community to express their artistic sides and develop as artists. To view the complete interview with 901 Arts and the rest of the Continuum of Impact videos please visit the Baltimore Art + Justice Project YouTube page. 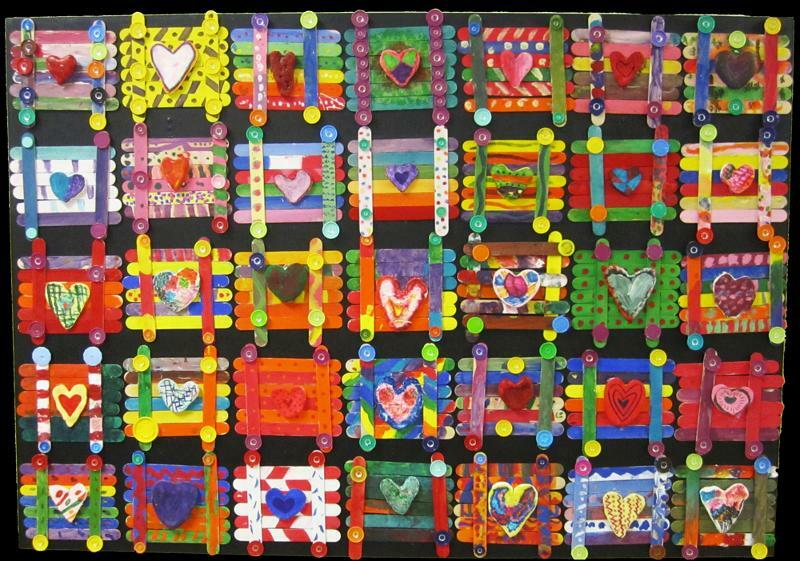 Art with a Heart is a Baltimore organization that has been working since 2000 to provide visual art programs to underserved children, youth, and adults. This summer marks the 8th year of Art with a Heart’s Summer Job Program which creates opportunities for youth to learn valuable job skills while making marketable art. The art students in the program create is available to purchase at HeARTwares and will be displayed at the August 2nd event Shop & Bop. Art with a Heart continues to provide community based programming, recently holding art programs at the Jewish Community Center of Greater Baltimore, McDonogh School, the Edgecombe Circle Elementary/Middle School, and Bristol House. Art with a Heart’s HeARTwares is a retail store where the public can purchase items made through their different programs. The proceeds from the sale of art is shared by Art with a Heart and the artist or community partner. Additionally HeARTwares works in alignment with the Summer Job Program, providing real job experience, such as money handling and working with the public. HeARTwares is located at 623 W. 34th Street, and has an entrance at 3355 Keswick Road as well. HeARTwares is currently open Monday through Friday from 10 am to 6 pm, Saturday from 12 to 6 pm, and Sunday from 12 to 5 pm. The Baltimore Art + Justice Project’s latest community dialogue brought together local artists, activists, practitioners, community members, and organizers to discuss building (and maintaining) collaborative, working relationships between artists and non-profits. The dialogue was held in partnership with the Public Justice Center who were not only wonderful hosts but provided insight into their own experiences of bringing together the non-profit sector and artists in multiple successful ways. The challenges of bringing together artists and non-profits were addressed during the dialogue and many thought the difficulties often rest in understanding the different communities, cultures, and priorities. Some artists might feel that non-profits have not provided the room for creative possibility while non-profits feel that artists might not respect their responsibilities or priorities. It was clear, however that the desire for collaboration was high and the need for a coalition was strong. Continually individuals discussed how necessary it was to build off of the assets that each community can bring, and make sure that we continue to maintain open communication. It’s clear that there are artists and non-profits working on the same issues in Baltimore City that can make incredible work when they collaborate. What makes for a successful non-profit/artist partnership? On Friday May 24th an event is bringing together Baltimore artists, social activists, researchers, medical professionals, scientists, humanists, political representatives, and foundations to do some thinking. The Baltimore Think-A-Thon is an all day brainstorming event being held by the Dean of the College of Arts and Humanities at the University of Maryland, College Park and the University of Maryland Francis King Carey School of Law. Focusing on addressing both black infant mortality and rising AIDS/HIV rates in the city, along with other possible issues raised by participants, those in attendance will be coming together across occupations and communities to discuss past, present, and future ways to address these issues. The Think-A-Thon comes out of recent studies that have found the collaboration between arts and science practitioners in problem solving can create innovative and effective interventions. The varying backgrounds of the thinkers involved from art to science, to politics encourages that they will bring different skills, perspectives, and thinking styles to the discussion. During the day artists will be working to create preliminary sketches of the ideas thought up by the group. The works created throughout the day will be used later in the “Baltimore Stories Project,” a larger community based project. 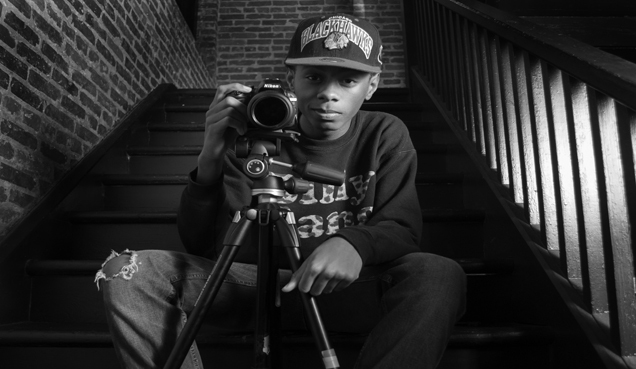 Since 2000, Wide Angle Youth Media has been providing opportunities for Baltimore City youth to develop leadership skills, gain media education, and access to media resources and tools. Each year the organization works with hundreds of Baltimore youth who learn techniques that range from design to photography to film and more. Wide Angle provides these resources and education through a variety of different after school and summer programs: Wide Angle’s Attendance and Design Team, Baltimore Speaks Out!, Mentoring Video Project, Youth Speaks Out!, Summer Media Camp, Special Programs, and their Youth Media Festival. While each of these programs provide a different topic focus, the content is guided by and the end outcome is controlled by the youth involved. Running through all of Wide Angle’s programs is a consistent and clear intent to assist Baltimore City Youth in telling their own story through their own words… or images. Wide Angle works to go beyond just providing the education and the resources, but creates platforms for youth to share their art with the rest of the city. 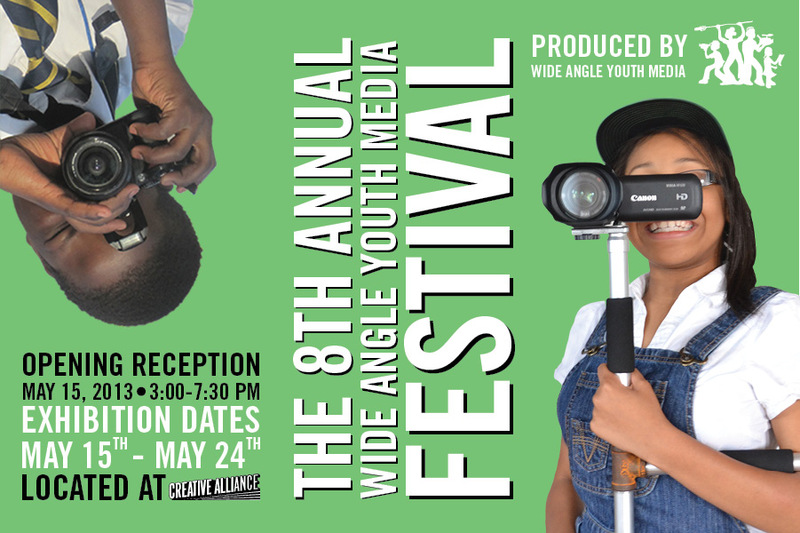 The 8th Annual Wide Angle Youth Media Festival will be holding its Opening Reception next Wednesday May 15th, 2013 from 5:00-8:00pm at the Creative Alliance. The Youth Media Festival showcases the art of over 200 youth from over 40 schools and 10 after school programs across Baltimore City. Using photography and film, this year’s Youth Media Festival features pieces created to challenge negative stereotypes of young people in Baltimore. During the Opening Reception, Wide Angle is collaborating with The Gandhi Brigade’s Just Us Youth Media Festival to screen videos by youth from across Maryland addressing the difficulties they experience and the positive things young people are doing in response. From 3:00pm-5:00pm on the 15th Wide Angle will be hosting free art activities at the Creative Alliance prior to the official Opening Reception. While the Festival’s Opening Reception is next Wednesday the Exhibition will run from May 15th until May 24th. Individual Tickets for the festival are $10 and can be purchased here. Parks & People will be hosting grant workshops for three grants to fund community greening projects. The grants, which focus on community-led greening and service projects, would be a great opportunity for artists, community members, and organizations to receive funding to start or continue community projects. Wednesday, May 29, 2013 6:00—8:00 p.m.
Tuesday, June 4, 2013 6:00—8:00 p.m.
Wednesday, June 5, 2013 6:00—8:00 p.m.
Wednesday, June 12, 2013 6:00—8:00 p.m. Individuals attending a workshop are asked to RSVP at least four days before the workshop they plan to attend. You can RSVP by contacting (410) 448-5663 x111 or valerie.shane@parksandpeople. Two additional great resources for artists, community members, and organizations interested in greening spaces in Baltimore to check out are Baltimore Green Space and Power in Dirt. These resources can help provide an idea of what is available and some of what is already going on in Baltimore. 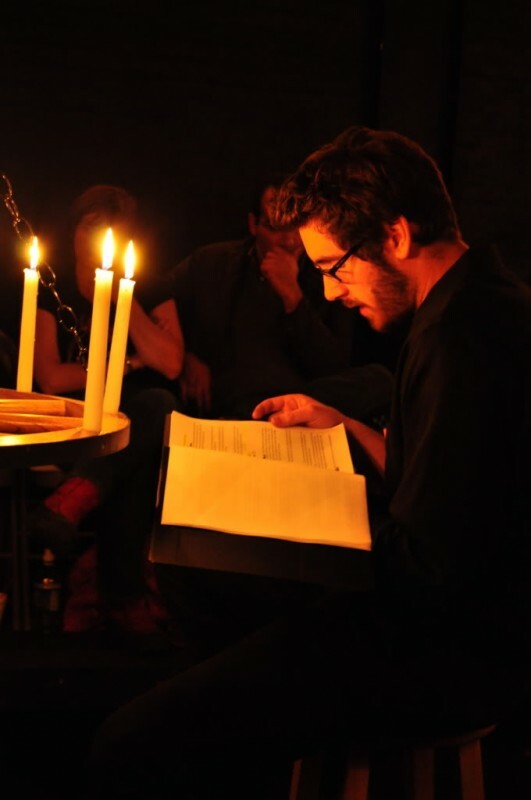 Maryland Art Place’s event series THIRTY: 30 Creative Minds Under 30 features artists under the age of thirty who are making a name for themselves in Baltimore. The next THIRTY on April 10th, 2013 features two artists that address issues around race and gender. Nora Howell, a MICA graduate, uses her art as a way of addressing systemic racism and opening dialogues on whiteness. Howell uses popular images in her work, such as Oreos and media advertisements, to spark conversations surrounding race. 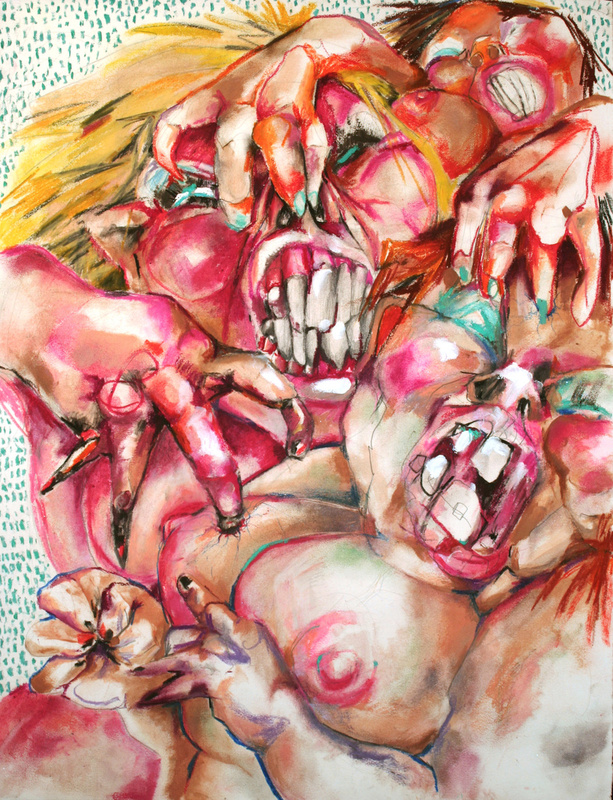 Many of Howell’s projects have focused specifically on raising visibility to the pervasiveness of whiteness in society. 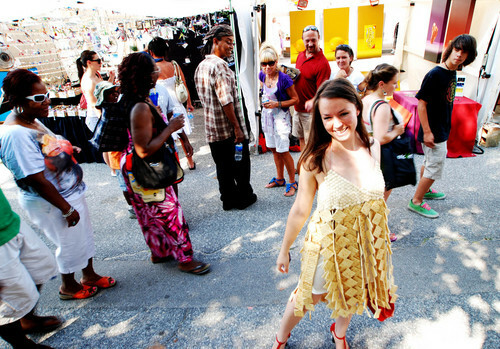 Her “Cracker Dress” is one example of her use of head turning images. Alicia Ciambrone, a current MICA student, addresses the portrayal of women and girls in the media/television through her Girls Series. Ciambrone’s “Mean Girls” series showcases the hyper-sexualized and aggressive portrayals of women in many current reality television shows. Similarly, in her “Naperville Girls” series Ciambrone remarks on the images of young women often seen across social media sites were they are often stripped of any individual self. Tomorrow evening, Saturday March 23rd the Eubie Blake National Jazz Institute and Cultural Center will be filled with two floors of dancing. Dancing for a Cause, the second annual fundraiser for Jubilee Arts, celebrates the many dance styles that originated within Harlem and have continued to grow across the country. The styles of Chicago Step, Hand Dance, and Line Dance, which will be highlighted at the event, are taught at Jubilee Arts “as a way to preserve and revive the legacy of arts in the African-American community.” In addition to an evening of dancing, guests will also enjoy light fare, performances, door prizes, and auctions. Dancing for a Cause is particularly timely following last month’s social and news media obsession with the Harlem Shake videos. Coverage of the videos were often void of any conversations regarding the dance /videos’ cultural or historical significance, highlighting how important and needed Jubilee Arts’ work is. All proceeds for the event will help support the operations of Jubilee Arts and their programming which focuses on providing low cost dance, visual arts, creative writing and ceramics classes/programs to Baltimore communities of all ages. Tickets for the event are $35 and can be purchased ahead of time online. For more information on the event please visit the event page on Facebook. Eubie Blake Center- 847 North Howard St.